In 2006, after receiving two Ursa Major SST-282’s for repair, I contacted Christopher Moore, Ursa Major’s founder and designer. Chris turned out to be a friendly, helpful gent who was glad to share circuit info and repair tips. He was clearly interested in supporting these classic models and sometimes serviced them, but consultation activities and his work with his new company left little time for servicing the older models. Well, one thing led to another and soon Chris and I put together an agreement. He’d sell us his parts stock for the Ursa Major models, along with reference models of the SST-282 Space Station, the 8X32 Digital Reverb, and the MSP-126 Stereo Processor. We have serviced many Ursa Major units and stay in touch with Chris, who has been patient and helpful with obscure technical questions about the Ursa Major designs. If you are interested in the history of Ursa Major or would like to know what Chris is up to these days, read on! In the mid 70’s Chris worked as Project Engineer at Lexicon, but he departed in 1977 to found his own firm. The digital reverbs produced in the 70’s were good, but extremely expensive; Chris wanted to produce a great sounding digital reverb for $2000 (still a lot of money – list price for a new UREI 1176LN was $488 at the time). Working out of his home, Chris developed the SST-282 Space Station – a processor that formulated reverb by recirculating the audio signal through combinations of taps with “floating delay periods”. Presets included four Rooms, four Comb Filter programs, 5 Delay Clusters (Fatty, Cloud, Slap 1, Slap 2, and Echo), and Space Repeats 2, 3, and 4. In addition, the 8 Audition Delay Taps allowed the user to “solo” the contents of the memory. Using this technique, a combination of tap settings could be set up for room reverb, and then transformed in one of the other 15 programs as another Reverb or a Slap, Echo, etc. The unit was 3 RU high, with one input and stereo outputs. With his distinctive polar bear logo, Ursa Major launched the SST-282 Space Station in 1978 at the Los Angeles AES Convention. The unit was unique and affordable and got good reviews. (The “cosmic” feel of the Ursa Major and Space Station names probably leant some extra mystique.) Just under 2000 units were sold. This is a great processor that remains popular, and in demand. When they come to us for repair, we enjoy bringing them back to life. 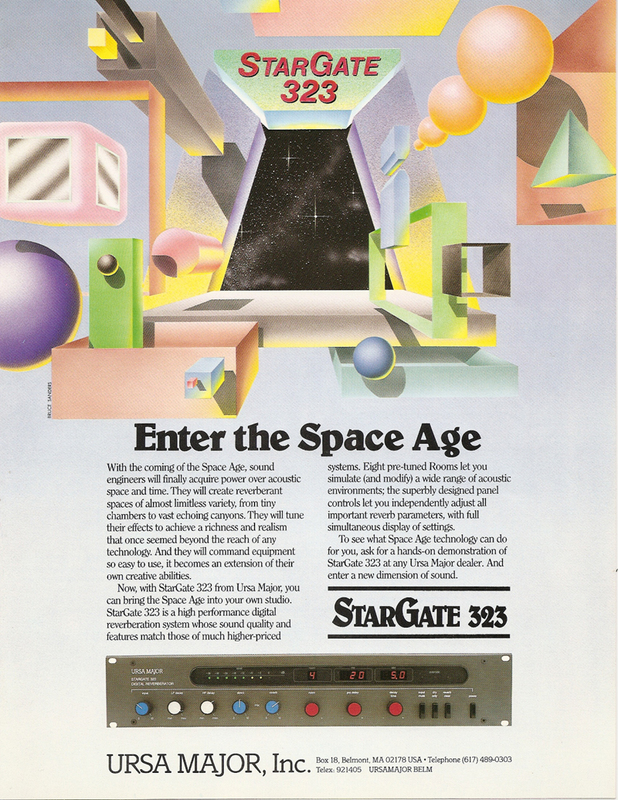 The 323 Stargate Reverb was released in 1984. Like the Space Station, the reverb algorithm utilized large combinations of “dithered” delays to simulate room reverb. At 2 RU, it occupied one little less rack unit than the Space Station. 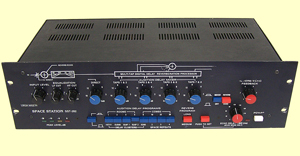 Another offering was the 1 RU MSP-126 Stereo Processor. This was a simpler unit and was more of a delay unit than a true reverb. 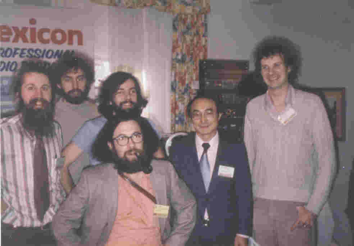 Programs offered pre-delay (for use with plates and echo chambers), mono to stereo simulation, slap, and “voice enhancement” (generated through the use of subtle, short time delays). 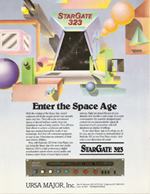 In 1984, the 8×32 Digital Reverberator came out. This more sophisticated model offered a wider array of programs, along with 14 bit conversion and recalled settings. The 8X32 was a fairly popular model, and examples show up in our shop from time to time. Ursa’s last product was the ADR 68K, another contemporary 2 RU reverb with extensive programs and menu selections . 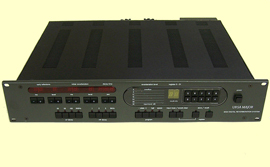 This model utilized a desktop remote control and was released in several versions; latter ones included MIDI. Many folks who collect outboard gear consider this a classic reverb, and the units that remain in circulation are valuable. It was about this time that Chris reached an agreement with AKG, who took over production of the ADR 68K. Later units of this unit are branded with the AKG name. Christopher Moore is still active as Seven Woods Audio and his website is well worth a visit. 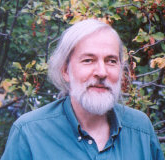 He created the SST-206 Space Station as a modern reissue of the original 282, and works as a consultant and product developer. As of January 2009, he was working on a digital reverberator for Doepfer, for their A100 rack. Need an Ursa Major Manual? The Seven Woods site has links to pdf’s of all the Ursa Major Owner’s Manuals and Service Manuals. Click here for the list. Studio Electronics, Inc. services all the Ursa Major models. Sometimes these are relatively simple repairs, but more often they are not. The SST-282 Space Station remains the most popular unit, and we receive many every year for servicing. Like many other vintage pieces, capacitor failure is very common. At a minimum we recommend recap of the power supply, but it better to replace all 59 electrolytic and tantalum capacitors. In addition to faulty capacitors, we often see bad RAM IC’s, faulty opamps, and intermittent connectors, pots, and switches. Full recap and repair is usually about $725. Repair charges for the other models vary widely. For more info, please contact us.